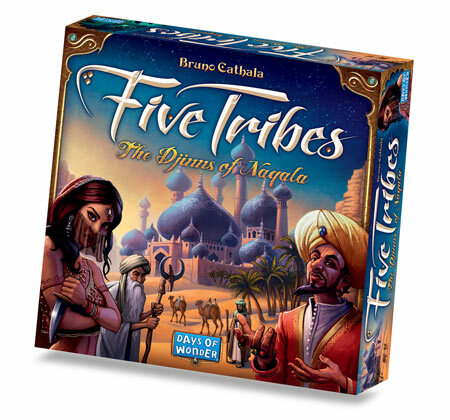 Five Tribes is for 2 to 4 players, ages 13 and older and takes approximately 40-80 minutes to play. The game is expected to be available in limited quantities at Gencon in August, and then from game retailers worldwide in September at an expected retail price of $60/€54. 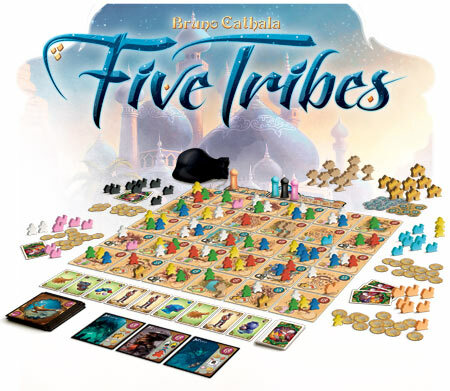 For more information you can visit the Five Tribes website. This entry was posted on Thursday, June 19th, 2014 at 13:01 and is filed under Big Adventure Games, Games, News, Websites. You can follow any responses to this entry through the RSS 2.0 feed. Both comments and pings are currently closed. Sounds as a fun game… but €54,- ???? That is way to much for a board game. It’s the expected retail price, and honestly: knowing how wonderfully crafted their games are, I don’t think DoW exaggerate. I’m happy to pay this much to get a beautiful box full of material. It sounds like a lot, but that’s what most large-box games cost these days! !